Coffee and spice flavored cookies are the perfect treat when the weather turns cool, but they're still tasty any time of year. Whether you prefer just a hint of coffee and spice or more dramatic flavor, one of these recipes is bound to please your tastebuds. 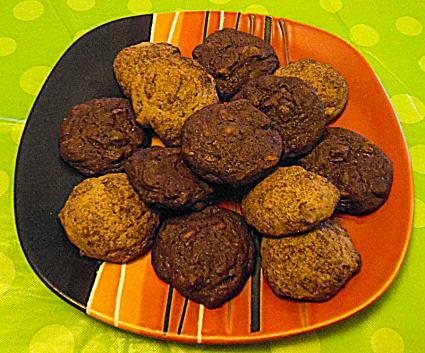 Sweetly spiced with coffee undertones, java lovers will find these cookies impossible to resist. 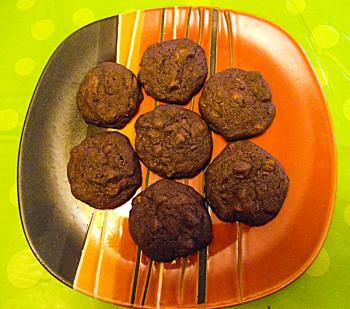 This recipe yields approximately 5 to 6 dozen cookies. In a large bowl, sift together the flour, baking soda, salt, and spices. Set aside. In a large mixer, cream together the shortening, butter, and brown sugar. Beat the eggs into the creamed mix one at a time, and then add the vanilla. On low speed, alternate adding some of the flour mix and some of the coffee until they're all in and the mix is fully combined. Chill the finished dough in the refrigerator for 2 hours. 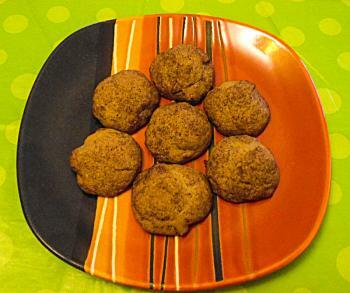 Combine 1/2 cup granulated sugar with 1 tablespoon cinnamon in a small bowl. Scoop up rounded teaspoonfuls of dough, dip the tops in the cinnamon sugar mix, and place them on the sheet, spacing them about 2 inches apart. Bake the cookies for 10 minutes. Allow them to cool on the sheet for about 1 minute before transferring them to a baking rack to finish cooling. Bold mocha and sweet cinnamon chips make a delicious flavor combination. This recipe yields about 5 dozen cookies. In a large bowl, sift together the flour, cocoa, baking soda, salt, and espresso powder. Set the bowl aside. In a large mixer, cream together the butter and both sugars. Beat in the eggs one at a time, followed by the vanilla, and continue beating for about one minute to make sure the ingredients are combined. On low speed, gradually add the flour mix to the mixer, and beat just until the ingredients are combined. Over-mixing will create a tougher cookie. Remove the bowl from the mixer, and use a large, sturdy spoon to stir in the cinnamon chips. Drop the dough by rounded teaspoonfuls onto a cookie sheet greased with shortening or lined with parchment paper, spacing the doughs about two inches apart. Bake for approximately 10 minutes. Let the cookies cool on the sheet for about one minute, and then transfer them to a baking rack to finish cooling. Coffee spice cookies make a great addition to cookie trays, or you can package them by themselves to give as gifts to fellow coffee lovers. Just don't forget to keep some for yourself. They go great with milk, a cup of tea, or even a cup of freshly brewed coffee.